This Saturday Zain Telecom. 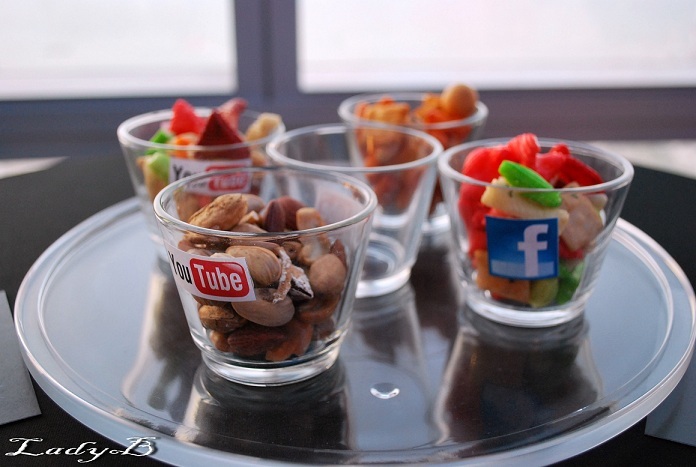 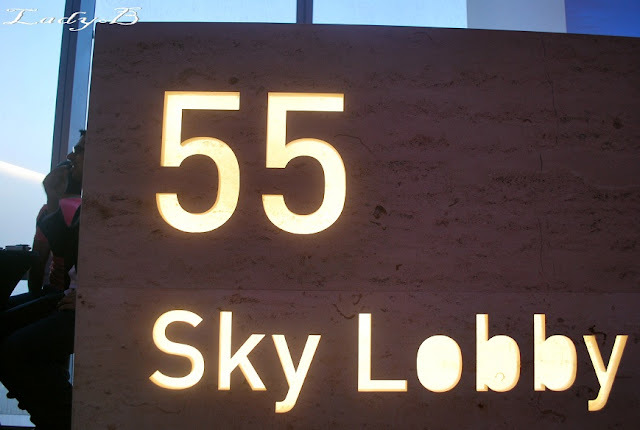 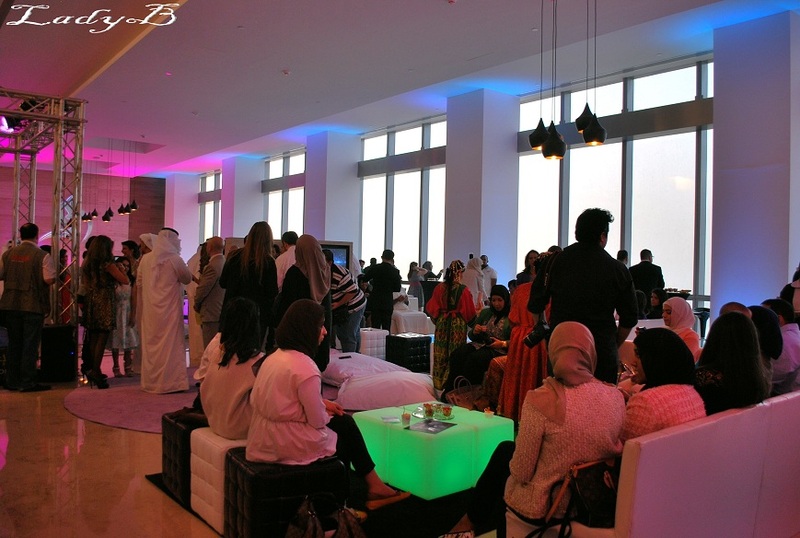 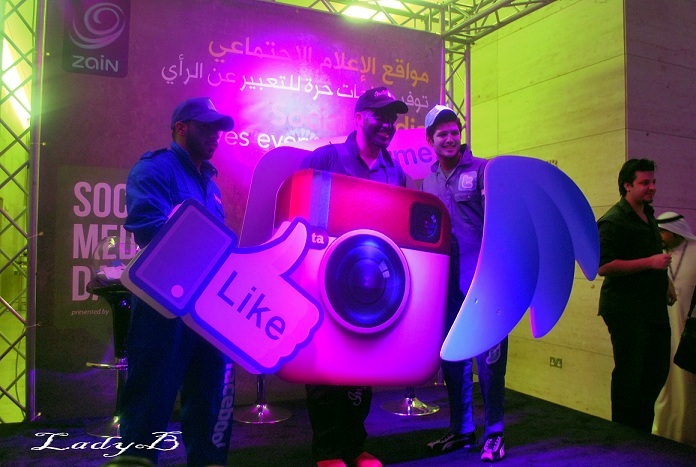 celebrated World's Social Media Day at the Sky Lobby of Al-Hamra Mall.. 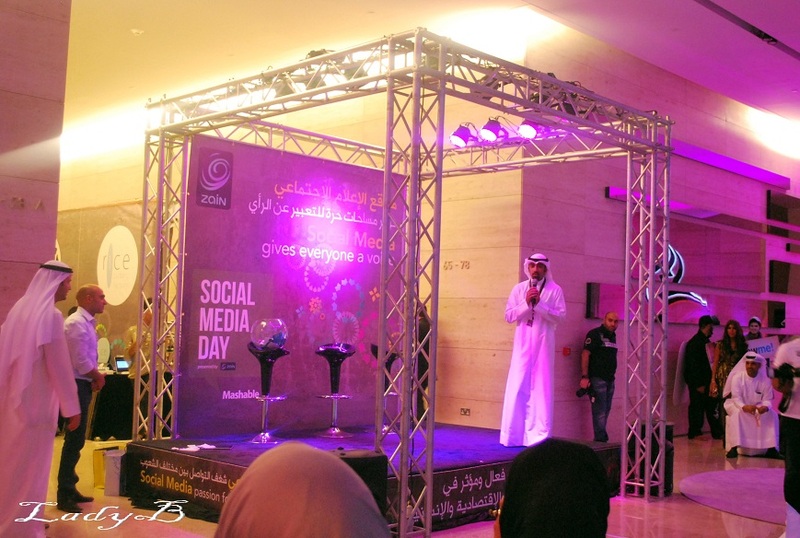 The event was buzzing with the attendance of bloggers, tweeters, photographer and everyone involved in media scene of Kuwait.. 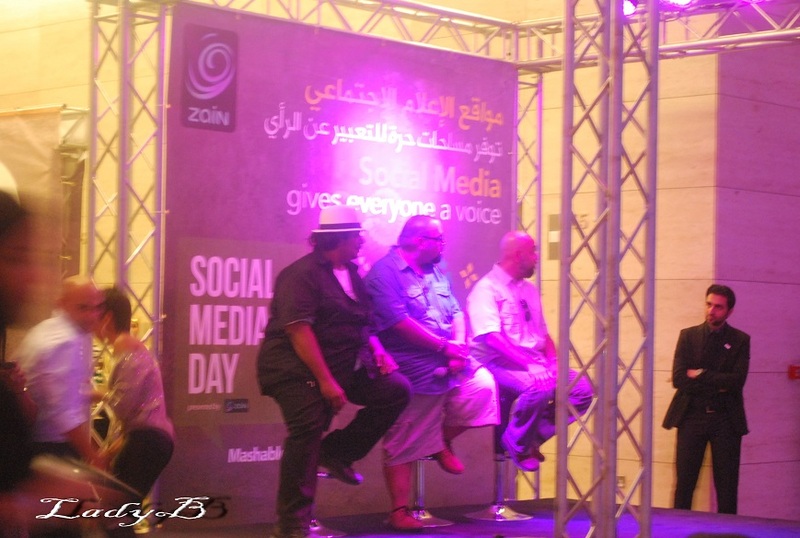 The event was took a start a few minutes after 6 pm, ofcourse after much needed greeting and salutations to Zain's team and fellow bloggers..
Mohammed Al-Muhaini took the stage to thank the attendees for coming and to introduce of a few of social media enthusiasts ..
Omar energy is un canny and his sense of humour is un matched, did you know he was my classmat back then? Anyways Omar introduced Fatma Al-Othman from F2o to talk about her experience and how she incorporated social media to promote her business.. 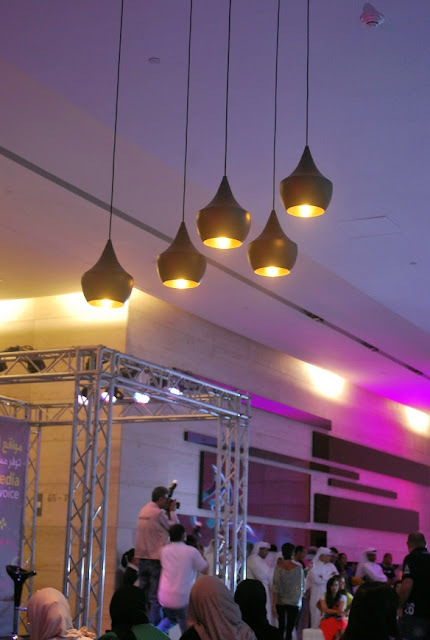 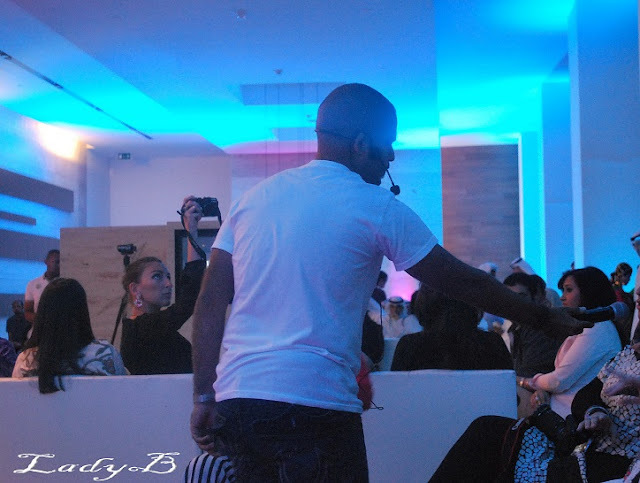 The final leg of the show was a short segment by Sheno Ya3ni group making light hearted fun of bloggers or as described by them as "electornic gossip" and us bloggers being glued to all means of communications 24/7 ! Comedians have never been my cuppa but the audience was having a blast from their jokes! 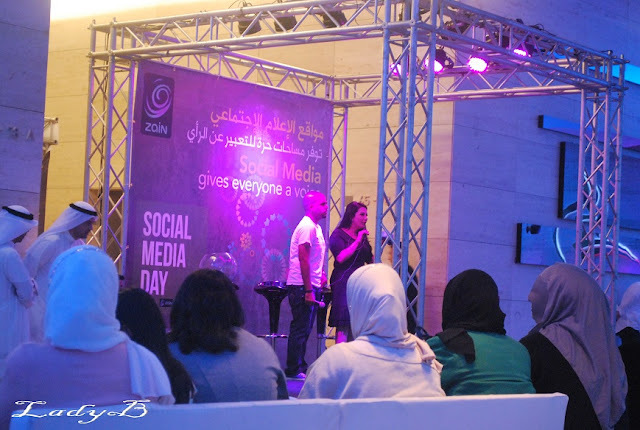 Thank you Zain for your kind invitation and for making this day quite memorable !